This feature is available on the SkyLime SmartOS Version because we merged the changes from an existing issue into our branch to support the Docker Registry Version 2. This has been done because most of the existing Docker images only using version 2, which result in less usable images if you only support version 1. With this change no docker version 1 is supported any more, which is the biggest drawback if you've already version 1 images. Please modify the ips, gateways and resolvers field in the JSON manifest. 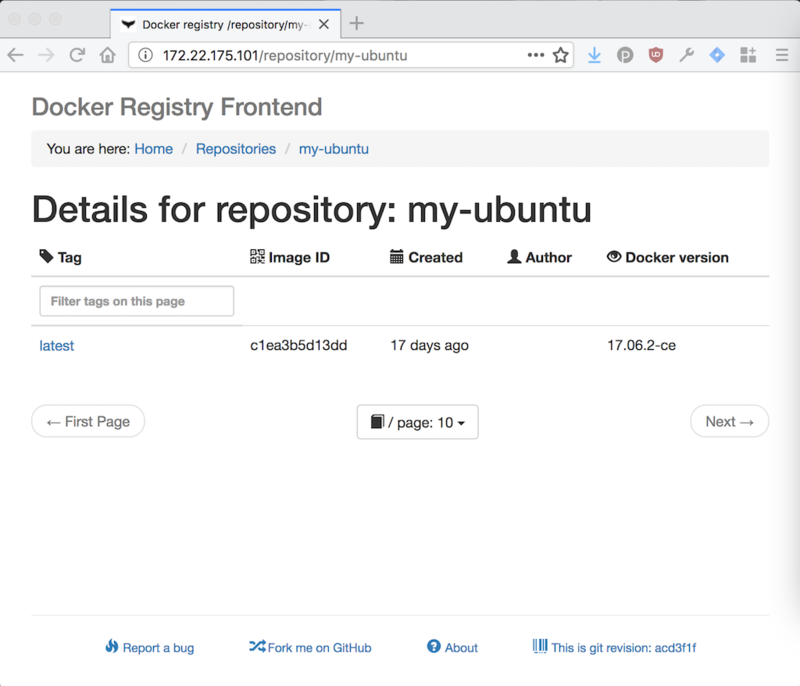 At the moment the configuration file described in the docker container show us that it will listen on port 5000. This could be easily done with an image provided on Docker Hub. You should be able to access the web service via http://172.22.175.101, or whatever IP you're using. It looks like there is still a bug in vCenter 6.5 to handle the machine SSL certificates correctly. Somehow the vCenter webserver does not send the intermediate certificates also if they are selected with the certificate manager /usr/lib/vmware-vmca/bin/certificate-manager. I have tried to select the correct intermediate certificate chain in the machine SSL certificate and also in the root certificate or in VMware terms in the "signing certificate of the Machine SSL certificate". Both without any success. The only thing that worked for me is installing the certificate with a valid chain again via the vecs-cli tool. Check if the certificate chain are still missing with the following command. If it result in only one certificate I'm sure the chain isn't send from the web server"
Restart the virtual machine or restart the services of the vCenter! There are lot's of websites around which describe how to install ESXi (VMware vSphere Free) on an MacMini. So this short article only cover some issues. The free version has some limitations which is mostly no problem for a personal small lab environment. You could download the iso image from my.vmware.com after you've created an account. I followed the article from derflounder.wordpress.com to install ESXi version 6 first. In an VMware forum somebody told that the version 6.5 isn't installable on the MacMini because of some hardware detection issues. Especially if you run MacOS as your desktop system you like to create an bootable USB stick. Do not dd the iso image to the USB stick, this will not work. There is an existing Makefile on GitHub which provide you with most information to generate one. Mostly it's a simple copy iso content to USB stick and add an additional syslinux.cfg file. Most people recommended an update with the offline bundle but if you have only a free license the offline bundle couldn't be downloaded. So I tried to update online with an remote shell on the ESXi, which works perfect. Also the latest MacOS (High Sierra) provide an outdated bash version (from 2007) I would like to install the latest version without homebrew or similar tools! I would keep the system as minimal as possible because it will be used to build software. There should be no big difference from a regular MacOS installation. Download the latest bash source from GNU.org, compile and install it! Extract it, your version may be newer! All not system defaults are installed in /usr/local in my case. $ sudo "echo /usr/local/bin/bash >> /private/etc/shells"
It may sound a little bit strange but mostly I couldn't remember all the commands to update my FreeBSD-CURRENT installation. For that I share the commands I use in a blog post. Install your kernel and reboot your system. It's recommended to go to single user mode, but not required. After the reboot we should merge the new and old configuration, for that reason we create a merge environment. Install the new world and merge configuration files. Than we should remove old files and libs which are no longer required. That's it and reboot. Maybe you need to update and check your userland files. Starting a post with "this is only a workaround and you should only use it if you sure what you're doing" is maybe not the best start but anyway: This is only a workaround if you missed to sign your package or would like todo it for your home environment! Please have a look at pkgbuild from Jonathan which provides most features to have a nice build environment for pkgsrc. To sign a package manually and not during the build process you could use the pkg_admin tool. The tool provides an argument gpg-sign-package which allow you to sign packages with GPG based on your mk.conf file. It's required to have your GPG environment ready and working. So you need an public/private key pair in your trust store which you could use for signing the package. It's not required to have gpg-agent or anything running but if not you need so insert your password on each package you like to sign. Maybe you missed to add a delegate dataset to one of your SmartOS or LX-branded zone and would like to add it later. This is possible with zonecfg, but you're be warned this is only a workaround and not based on the official SmartOS documentation. Use prstat which is more or less similar to top on Linux. There are different sorting and command line options available. You maybe run into an problem that your remote server has no network connection because of some drivers are missing? And the only thing that works is to use IPMI and remote virtual devices which contains your driver? For that I created an folder which contains the drivers, packages and create an ISO image with hdiutil. The tool creates an ISO file in your home, image.iso. You could burn that to an CD or you could use it with your IPMI tool and mount it remotely. From bash scripts by my co-workers I noticed there is a big misunderstanding of using the equals sign in bash if statements. Should I use one square bracket or two, should I use two equal signs or one? You could use one [ (square bracket) with one = (equal sign). This is valid in bash and sh. This is documented for the bash test builtin if you type help test. One square bracket [ is an alias for test. You could also find it in the Bash manual. This will work in most shells since the original version of Unix. The official bash way is to use two [[ (square brackets) and two == (equal signs). It matches the syntax of most other programming languages. Now the biggest mess starts, because bash also supports one square bracket and two equal signs. The bash authors decided to deviate from the traditional behaviour of /bin/sh and support this syntax. Anyway, this feature is not documented and it will not work on sh and it's derivates. For example dash which is default on Ubuntu will through an syntax error.